There are two types of opening acts in the world. First, there are the ones hoisted on an up-and-coming artist by their record company to cross-promote “brands”. I’ve seen plenty of shows like that, and they rarely impress me. Then there are the opening acts that the headliner actually gets to pick. 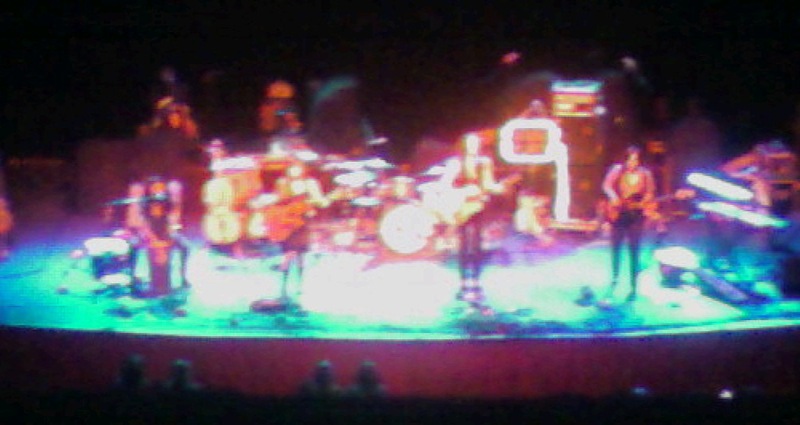 Monday night’s show at the Paramount with Sara Bareilles fell into the latter category. I’ll talk about Marc Broussard later, but right now, I’d like to talk about an up-and-coming indie band named Raining Jane. In 2004, I saw Tracy Chapman live (coincidentally at the Paramount), and her opening act was an up-and-coming group called eastmountainsouth. The word “revelation” doesn’t begin to explain just how moved I was by this amazing duo. The old-school instruments, the Americana-based songwriting, and some of the most unique harmonies I’d heard in a long time grabbed me hook, line, and sinker. While they are no longer together, that one CD still inspires me to this day. Raining Jane had that same effect on me on Monday night. I’m going to be a bit negligent on some of the songs, because I didn’t know their music at the time of the show. The opener started off well, and the chorus had a hook I really liked, so I perked up immediately. If my interest was piqued, song #2, “Wyoming Sky”, won me over instantly. Such a beautiful track, and it truly captured that dreamy Mountain West vibe that I’m drawn to. From there, I was sold. “Pinball” perfectly captured the upbeat, bouncy vibe of its title, and new track “Paper Cut” had the audience laughing along with a humorous tale of “the first time”. Take that visual where you want to. It pleases me to not know how to categorize their music. While they describe themselves as “an eclectic rock-folk band”, you’re going to hear some World music elements, some downright pop moments, and some Americana bits mixed in. As they roll through their set, you know that different members are bringing different styles and sounds to the table, and the diversity is one of their biggest strengths. The personalities of the group and how they interact really work well live. Mona, who on their website aspires to be “the first female Persian rapper / whistler”, comes across as the ringleader, and also the chief comedienne. I could tell you all about the “pelvic thrusts for Sara”, but I wouldn’t do them justice. Let’s just say that she had the audience in the palm of her hands with her humor, as well as her amazing skill on the Cajon, a flamenco-type drum that she sat upon and played with her hands through the entire set. Chaska and Mai also had the fun banter going on, while Becky came off a bit more serious, simply because she didn’t have a mic on stage. At the merch table after the show, though, she was all smiles and very cool to talk with. Instruments played a huge part of the show: Mona with her Cajon & other various percussion; Mai with her cello; and Becky with her sitar. Yes, sitar. She pulled it out for two songs, and just sat right down on the stage with it, instantly becoming my hero. One highlight of the show was Mona and Becky’s instrumental jam “Browntown”. Highlight #2 was Mai and Chaska coming back out and doing their impression of “Whitetown”, which consisted of doing the Sprinkler (look it up if you don’t know how that dance step is done). I won’t lie…the music was a bit of a blur to me, since I didn’t know it, but I’m glad it worked out that way. No words to sing along with, no songs to be desperate to hear, and no expectations. The ride was a fun one, and I was glad to be along for it. With people like Sara and Jason in their corner, I have no doubt that they may be in this business for a while. They’re touring with Sara through the beginning of November, so if you have a chance, definitely check them out. You can also find their music on iTunes, if you’re so inclined. Trust me…they’re worth the effort. And while you’re at it, check out their clip of “Wyoming Sky” down below. You know, speaking of eastmountainsouth, have you heard any of Peter Bradley Adams’ solo work? There’s a song of his that is absolutely making my best of 08 list called “The Longer I Run.” It is gorgeous. I have been meaning to check out eastmountainsouth for some time. And thanks to this post, I’m going to be checking out Raining Jane as well. Dan, as much as it pains me to say this, I have a mental block on PBA’s solo music, since it was apparently his choice to disband eastmountainsouth. I’m sure you can find the CD very cheap, but once you listen, you’ll understand my minor mourning over their breakup. I will check out “Run” on your recommendation, though. 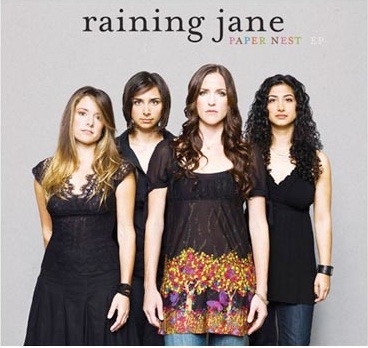 I will be downloading Raining Jane immediately.